It has been quite awhile since biodegradable lubricants were introduced. This class of lubricants were meant to address the growing concern regarding environmental effects caused by the production and discharges of mineral-based lubricants. But even after being on the market for quite some time, the number of machine shops using these lubrication products are still relatively few. This can be attributed to old practices and mindsets. If the current lubricant is performing well as needed, there is very little reason to change to a new product whose performance is yet to be determined. People tend fall into a routine, resulting to current practices staying the same. Truth be told, many operators are not aware of the new products on the market. It is usually not until an occurrence like a discharge, government agency involvement or new personnel entering the facility that old practices are questioned and new ideas are considered. The current economy also makes it hard to make operational changes. There are more crucial issues that companies have to address and details regarding lubrication often take a backseat unless there is a threat to the operation. However, there are companies that are actively searching for products and implementing techniques that maximize efficiency while also protecting the environment. The higher cost of biodegradable lubricants compared to mineral-based oil is another issue to its limited use. This prevents smaller shops from changing to the eco-friendly lubricants. It is important to remember that the cost not only involves the lubricant but also the preparation process which involves cleaning out the machine completely. This can take a significant amount of time away from production. 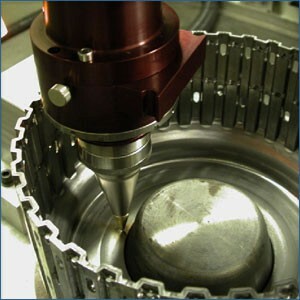 Lubrication is a critical part of any industrial application. Equipment have to be properly lubricated to ensure optimum performance and prevent damage. Industrial grease is one of the most commonly used lubricant products. It is applied on bearings, bushings and other applications in which a lubricating oil is unable to remain in position. A problem that often comes up with grease application is overgreasing. Overgreasing is what happens when too much grease is applied on the lubrication point. This can cause serious and costly problems. Too much grease can result to increased operating temperatures, collapsed seals and higher energy consumption for electric-powered equipment. The excessive volume of grease increases the pressure within the cavities of bearings and between gears. This leads to higher temperature and more energy required to power the mechanical components as the increased pressure hinders movement of components. If left unattended, this can lead to equipment failure. Increased oil bleed is another effect of overgreasing. The heat and pressure squeezes out the base oil from the thickener. As the thickener becomes devoid of oil, it can harden and create a solid buildup that can prevent oil from reaching the components that require lubrication. This can lead to increased wear of the mechanical components. A proper maintenance program is necessary to avoid the problems caused by overgreasing. Calculations must be performed to determine the right amount of grease to be applied and the ideal frequency for grease reapplication.